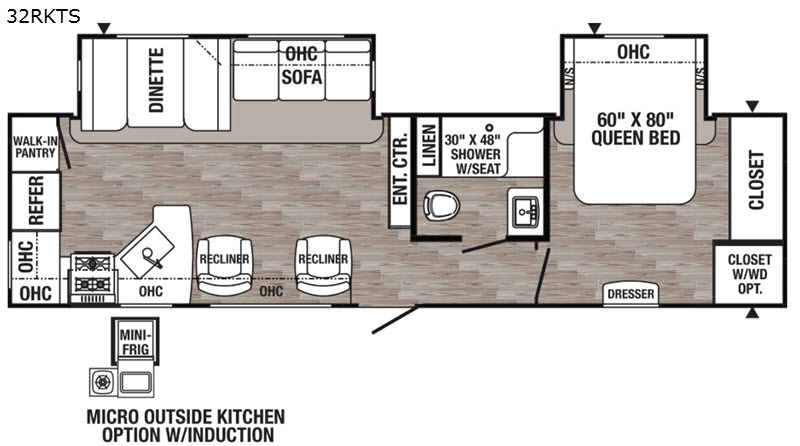 Imagine having your own bedding and clothing storage, including the option to add a washer and dryer in the front bedroom. Now imagine making meals with all the appliances necessary including plenty of dry good storage in the walk-in pantry. You might even want to live in this trailer. 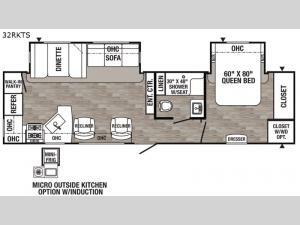 The two recliners will be a prime spot to visit with other RVers or relatives, and you can offer them sleeping space on the furniture within the slide out. Enjoying a warm shower while sitting down is another "must have" feature you will surely love. You might even add an optional outside kitchen, make your choices today and start camping tomorrow!